Sleep is one of the most crucial things that your body needs to function. Unfortunately, the addition of a newborn to the family has a tendency to disrupt the sleep schedules of other family members severely. New moms are especially susceptible to having to be awake for inhumane numbers of hours between feeding and maintaining a pumping schedule to establish a supply. However, not only is a lack of sleep bad for your health, it can be incredibly dangerous to you and your baby. The National Highway Traffic Safety Administration estimates that 100,000 crashes each year are caused by drowsy driving such as you driving your infant to the pediatrician’s office on little or no sleep. But what can you do to get more sleep as a new parent? Below you will find some of our new mom sleep tips to help you feel more rested. The first of our new mom sleep tips is to divide up the responsibilities between you and your partner so that no one has to carry the load on their own. You can try alternating or designating nights for you and your partner to care for the baby while the other one gets some much-needed sleep. Additionally, you could sleep in a separate room on your “nights off” to help insulate you from any crying or fussiness that might disturb your sleep. You can also set up a shift schedule if one of you naturally gets up early or functions better in the middle of the night. The bottom line is that you should discuss your sleep needs with your partner ahead of the baby’s arrival so you can determine what course of action is right for both of you. On average, newborns sleep 16 hours or more during one day which is why we have added this adage to our list of new mom sleep tips. Knowing that new babies sleep this much should be a comfort to you because, in general, adults only need about half that amount of sleep which means that you can still have time to do the things you need to do each day. Napping during the day can help to rejuvenate you and make those middle of the night stretches and early morning wake up calls a bit more bearable. Bonus points if you can go to sleep for the night when your baby does because as they begin to sleep longer stretches, so will you. While caffeine may seem like it is just the pick me up you need in the morning or early evening, it can have a detrimental effect on your sleep routine. In addition to caffeine’s impact on your sleep, if you are breastfeeding, you are passing caffeine on to your child as well. Since newborn’s metabolic processes do not function at the same rate as adult’s, it takes considerably longer for their bodies to process things like caffeine. In fact, it takes 96 hours for a baby’s body to reduce the amount of caffeine in their system by half. So while that cup of joe may be appealing to help keep you up during the day, it may come back to bite you by keeping your child up all day and night making this one of our most valuable new mom sleep tips. What if you are still feeling overwhelmed or unable to get enough sleep to function during the day? It’s okay to ask others for help. If you are allowing visitors to your home, try to limit your guests to only the ones that you know will be helpful or that you can trust to watch the baby while you take a nap. Be intentional about reaching out to friends and family who may be able to help or hire a Newborn Care Specialist to provide you with all the support you require. Need help finding a Newborn Care Specialist to assist you and your family? Contact San Francisco Newborn Care today to find the perfect fit for your family. After the birth of a child, it is not uncommon to have family members that want to visit you and the new baby. Some of these family members will be there to help you and provide support to you and your family as you transition your child into your family. Others may only be interested in spending time with the baby and provide little in the way of help or support. So how do you manage family members during your postpartum recovery period, so you are getting the rest and help you need? We will be answering that in this blog as we discuss postpartum family help. It can be tough to gauge the level of assistance you will need while you are recovering from labor and delivery. One thing to consider when trying to determine how much help you will need is your personality type and whether having family around energizes or drains you. This may help you decide which relatives you may want to stay with you for extended periods and which ones you would only like to visit for short durations. If having a lot of people or individual family members around makes you feel obligated to play hostess, then it is wise to schedule their visits for later in your recovery. You may also find it useful to consider the skills and work ethic of family members when it comes to household responsibilities and determine what things they may be able to help you with while they are staying with you or visiting. According to a 2014 article in Clinical obstetrics and gynecology, a mother’s stress levels may affect the neurobehavioral development of her baby both in utero and after birth. Therefore, keeping your stress levels low should be considered a high priority in your postpartum recovery. Additionally, how various family members affect your stress level must be taken into account when arranging for postpartum family help and scheduling for visits and extended stays. Since your stress levels impact not only your recovery but also the development of your child, it is of the utmost importance that you be able to maintain a level of peace throughout your postpartum period. It may be useful to talk with family members ahead of time about the importance of maintaining a calm environment after you bring the baby home. You may also want to designate someone as a go-between for you and any family members that may stress you out. When you have family staying with you for an extended period to provide postpartum family help, it is important to find a strong balance between the daily chores, caring for the baby, looking after you, and enjoying the baby. It is helpful to talk with family members ahead of time to make your expectations clear about how time with the child will be divided up as well as what chores or care you are expecting them to help with while they are in your home. However, it is imperative that you allow your family members to have time to hold the baby and spend time with them. It can be tough to hand your child off to someone else because you may want to keep them close at all times so be intentional about sharing your little bundle of joy with them. For some family members, having those few precious moments with your little one can motivate them to be extra diligent about taking care of the chores and care activities that need to be done each day. While relying on family for support during your postpartum recovery is wonderful, they may not be able to provide you with all of the assistance you require. We are happy to connect you with a postpartum doula or newborn care specialist who can provide professional care and expertise to help you and your family. Marley Spoon Marley Spoon is a German based company that recently launched in the US with Martha Stewart. They offer both a two and four family plan that includes between five and seven recipe options each week. Every recipe is crafted by Martha herself, and are six steps or less and generally takes less than 45 minutes to prepare. Hello Fresh Hello Fresh offers three different plans to it’s customers: regular (in two or four serving options), a veggie plan that features three hand-picked recipes (also in two or four serving options) and a family plan that includes three handpicked recipes. Hello Fresh offers recipes crafted by celebrity chef, Jamie Oliver. Information on what dads and partners should expect during pregnancy is readily available but similar information on the postpartum period is much more difficult to find. As a result, many dads and partners are left clueless about what mom needs during the postpartum period, what is normal, or the warning signs that she may be having a more serious issue. In today’s blog, we will be discussing partner postpartum expectations. Regardless of how your baby is delivered, there will be some need for physical recovery for mom after birth. In terms of partner postpartum expectations, you can be assured that she will have sore muscles because the laboring process alone forces many of her muscles to contract and relax many times over 18 or more hours. This type of exertion is sure to lead to fatigue and soreness of muscles. She will need plenty of rest to give her body time to recover. If mom delivered vaginally, it is possible that she may have some tearing or even stitches from the birthing process that will need heal before she can get back to normal. If she had a C-section delivery, she will likely have difficulty doing simple day to day tasks as her stomach muscles heal from the surgery. The bottom line here is that as a dad or partner, mom will need your help during the postpartum period. It is not uncommon for new mom’s to experience a wide variety of emotions or to have their emotions swing wildly in the postpartum period. Once the baby has been delivered, mom’s body begins the process of recovering from pregnancy. Part of this process is that her hormone levels change dramatically because many of those hormones are necessary for the growth and development of a healthy baby. The downside is that those hormones also have the ability to affect mom’s mood, her memory, even her sleep patterns. You couple this fact with the traumatic nature of the birthing process and the sleep deprivation that is common in the first few weeks after birth and you have a complicated emotional reality for mom. The best way to manage your partner postpartum expectations is to educate yourself on the changes mom’s body goes through after delivery and how they affect her emotionally. Remember that she she will need your support, compassion, and understanding during this time. Baby Blues is a very common experience for many postpartum mothers. Baby Blues occurs in the first two weeks following delivery and Mom may experience some sadness. The symptoms of Baby Blues include sadness, weepiness, mood swings, anxiety, feeling overwhelmed, crying and reduced concentration. Mom should feel quite a bit better after a nap, bath or rest. If these symptoms persist beyond two weeks following postpartum, Mom should be evaluated by her doctor or a therapist for Postpartum Depression. It’s important to note that suffering from postpartum depression doesn’t mean she is a bad mother or that she will never be the same. It’s also important to assess the situation and get Mom help as soon as possible. Postpartum depression is very treatable and Moms often feel better after just a few sessions with a therapist or a few weeks on medication if that is the route the doctor and your family feels is best. If Mom is experiencing Baby Blues, offer to take the baby for a while so she can nap, encourage her to take a relaxing shower or bath, and remember that she can’t help these feelings. In the days and weeks following the birth of a child, it can be easy to become so wrapped up in your newborn that you forget about yourself. When all of your time is spent focusing on your baby, you quickly lose sight of the need to care for self. The end result is feeling physically, mentally, and emotionally drained which keeps you from being your best self. In today’s blog, we will be discussing some tips on postpartum self-care. Healing your body should be one of your top priorities when it comes to postpartum self-care. The labor and delivery or cesarean section processes take a large toll on your body and require rest to heal. When you are released from the hospital, your doctor will provide you with discharge instructions that may include pain management medications. Whether it’s keeping stitches clean and dry or limiting activity, make sure you are following your doctor’s advice. It is also advisable to periodically hand the baby off to your spouse or family member to give yourself a break. Take a shower, enjoy a meal, have a nap, do whatever allows you to relax and relieve stress while others care for baby. Remember, it’s okay if you aren’t able to do it all right away. Take the time you need to recover and get back on your feet again. There is no need for you to be superwoman after baby arrives so don’t over do it. An important part of postpartum self-care is accepting help from others. This help can come in many forms but make sure that the person that is aiding you will not do more harm than good. For instance, if you have a helpful friend who can’t follow instructions, you may cause yourself anxiety that hinders your recovery. Instead, opt for friends and family that put your mind at ease or hire a postpartum doula from SF Newborn Care. If you are having trouble with breastfeeding or you find it to be painful, seek out help from a Certified Lactation Counselor (CLC) or an International Board Certified Lactation Consultant (IBCLC). The International Lactation Consultant Association (ILCA) has a directory here to help you find an IBCLC in your area. There are a host of other actions you can take to aid in postpartum self-care. Exercise your right to say, “no.” There are a lot of requests made of you after birth, but that doesn’t mean that you have to say, “yes” to everything. One area where this applies is with entertaining visitors that want to see the new baby. It is recommended that you limit visitors especially within the first few weeks postpartum. This allows you to create time and space to focus on your recovery and being a family rather than playing hostess. Another practical way to care for yourself postpartum is to make sure you are eating well. Try to avoid comfort foods with little or no nutritional value and make use of pre-prepared meals from friends and family. Choose healthy snacks whenever possible and if you are looking for ideas, check out our blog on postpartum snacks. [et_pb_section admin_label="section"][et_pb_row admin_label="row"][et_pb_column type="4_4"][et_pb_text admin_label="Text" background_layout="light" text_orientation="left" use_border_color="off" border_color="#ffffff" border_style="solid"] Breastfeeding a newborn can be a very difficult task; especially in the first few weeks after giving birth. Many mothers feel overwhelmed by the hormonal changes their bodies are going through as well as adjusting to the demands a new baby places on their mom. In today's blog we will discuss 4 ways a San Francisco Newborn Care Specialist or Postpartum Doula can support a breastfeeding mother. Provide Encouragement without Judgment New moms are constantly being bombarded with unsolicited advice that is often conflicting as well as criticisms that can make you question your ability to nourish your baby. Your NCS or postpartum doula will be there to provide reassurance that you are doing a good job. They will take time to listen to your concerns while providing words of affirmation that can provide a major boost to your moral in those early days. Give You a Break Many new moms feel they are unable to care for themselves as a direct result of the demands their newborn puts on them. Our NCS's and doulas take the time to understand your needs and your boundaries so that we can make sure that you are able to tend to your basic needs and that you have what you require when baby is nursing. From bringing you some extra pillows or a snack while you are breastfeeding to taking the baby for a walk so you can take a shower, we make sure that you have all the breastfeeding support that you need. Education New mothers are provided with a lot of information on breastfeeding from a variety of sources. A Postpartum Doula or NCS can help you discern good, evidence based information from bad and answer questions you may have about breastfeeding. The education they can supply removes the guess work and provides you with confidence to meet any challenges that may arise. We can also help you with positioning your baby in a way that is comfortable for you or teach you different positions that you may like more. 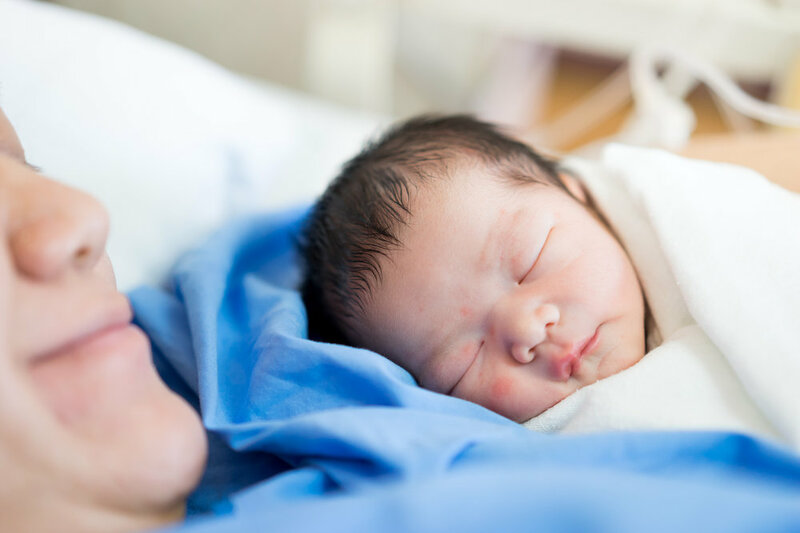 Finding Resources At San Francisco Newborn Care, we understand that breastfeeding can be difficult and are ready to provide you with options to help if the need arises. Whether it is contacting a lactation counselor or giving you a recommendation for a breastfeeding center in your area, your Postpartum Doula comes equipped with many resources to assist you. For many mothers, the aid of a lactation professional is the breastfeeding support they needed to be able to continue nursing their newborn for the duration of their choosing. [et_pb_section admin_label="section"][et_pb_row admin_label="row"][et_pb_column type="4_4"][et_pb_text admin_label="Text" background_layout="light" text_orientation="left" use_border_color="off" border_color="#ffffff" border_style="solid"] As a new mom, we know that it can be difficult to find time and energy for you to make and prepare meals for yourselves. Our postpartum doulas are more than happy to help prepare meals and snacks while you bond with your new baby (or babies) or take a nap. In today’s blog we’ve complied 10 of our favorite quick and easy snacks that we love to make for our clients. Postpartum Care Tip: eat while you’re feeding your baby, it’s okay if you get a few crumbs on them! A smoothie can be a great, nutrition packed pick me up. Moms and dads can mix and match fruits and berries for the perfect smoothie. For an extra blast of nutrition add a handful or two of spinach! Check out our favorite green smoothie recipe here. There is no better granola bar than a homemade one! Homemade granola bars can be made quickly and easily using ingredients you likely already have at home. You can skip the processed food aisles and make some delicious granola bars in your own kitchen! Check out our favorite homemade granola bar recipe here. Try dipping apples, bananas, pears, strawberry, grapes, celery, or carrots in nut butter for a healthy protein packed snack. If you want to mix it up, you can make greek yogurt peanut butter fruit dip! See our favorite peanut butter fruit dip here. Quinn Popcorn is a quick, easy and organic snack for families. It comes in a variety of flavors, as well as pre-popped, microwave, and kernels for air popping. They have a farm to bag promise and their microwave popcorn bags are the first of it’s kind- free of chemical and plastic coatings. Finally, guilt free microwave popcorn! Mamma Chia Squeeze Pouches are widely available at grocery stores and some department stores, such as Target. They are an organic chia snack that comes in a handy squeeze pouch. Chia seeds are a great source of Omega-3, dietary fiber, and protein. Trail mix, or just nuts in general, are fantastic snack for on the go or even just to put on the nightstand for middle of the night feedings. Customize them and add your favorite dried fruits, nuts, and seeds for the perfect pairings. Hummus is a great source of protein and nutrients. It comes in a wide variety of flavors and options to choose from. Slice up veggies in advance for a quick, ready to grab snack! Breastfeeding and formula feeding moms alike can benefit from lactation bites. They are easy to make, delicious, and hard to resist. 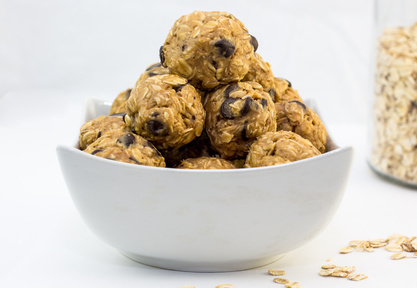 The oats, brewers yeast, and flax seed in these lactation bites can boost Moms milk supply. If no boost is needed, or if Mom is formula feeding you can omit the brewers yeast and flax seed. See our favorite lactation bites recipe here. For a calcium boost, eat some greek yogurt with granola. Not only is it high in calcium and protein, adding granola is the perfect way to mix it up and add some flavor and crunch. For extra flavor add fresh berries or honey! For a yummy, creamy, crunchy snack try avocado toast. Avocados are full of potassium, healthy fats, and fiber. Toast some whole grain nut bread and spread avocado on the top for the perfect pair. See our favorite collection of avocado toast recipes here.